A never-ending cycle of delicious foods, catch-up conversations, and satisfying naps, Thanksgiving is, quite literally, the holiday that keeps on giving. 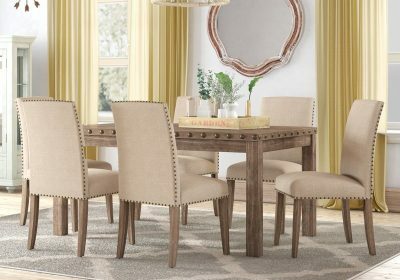 Aside from the piping hot gravy that is best enjoyed on the day-of, we know that the real reason everyone gathers ‘round the table on Thanksgiving is the leftovers. For those less seasoned in the art of meal-prepping, tossing remnants in empty Tupperware will typically suffice as a storage solution. But what if we told you that you didn’t have to eat your favorite Thanksgiving dishes the same exact way over the coming week? Seeing that you’ve already done most of the hard work, the holidays are the best time to put your meal prepping skills to the test. From simmering soups to hearty salad bowls, here are eight fresh leftover ideas that require minimal time and little effort to prepare. If you had a veggie-filled holiday, this festive recreation—which can be served cold as a pasta salad or plated warm—is calling your name. 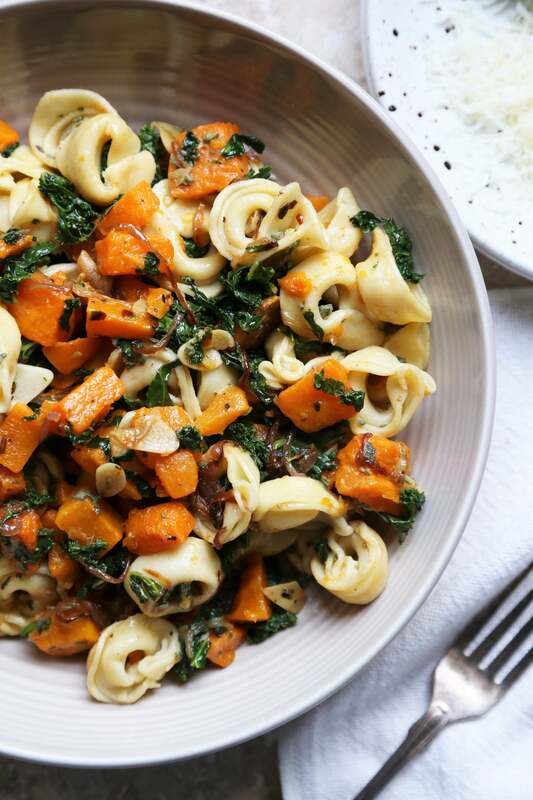 Taking on a new life as a next-day lunch, put spare greens and butternut squash to use by tossing in cheese tortellini into the mix. The Dijon mustard apple cider vinaigrette dressing the recipe calls for dressing will make this meal feel like anything but a repeat. Get the full recipe on from Supper With Michelle. 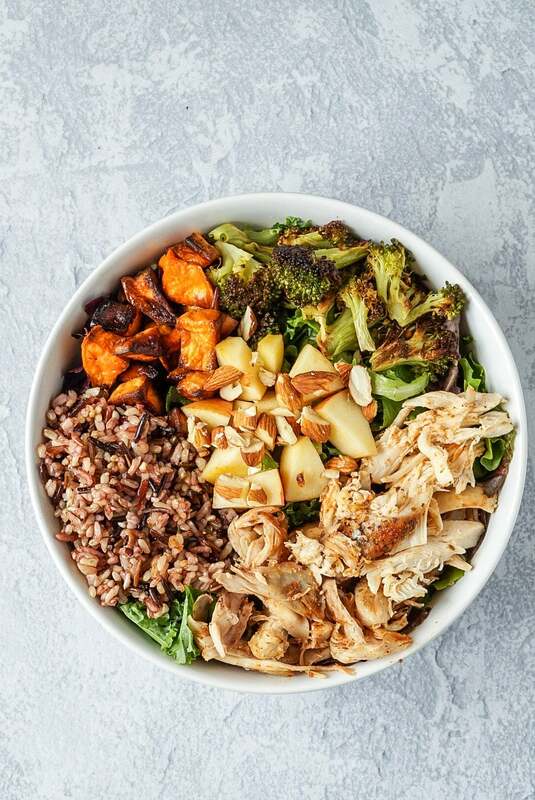 Easy to make and straight to the point, this autumnal bowl comes down to a simple matter of taking each individual ingredient out of its respective Tupperware container and harmoniously combining it to make one all-encompassing dish. Comprised of shredded chicken (or turkey! ), roasted sweet potato, almonds, broccoli, and any go-to greens you desire, consider this the most uncomplicated way to prep for your back-to-work week ahead. 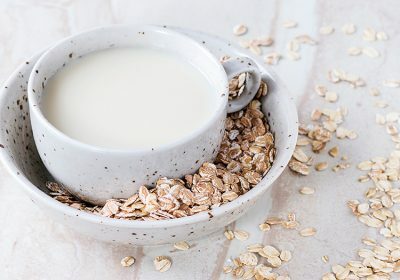 Get the complete recipe on Sweet & Strong. When in doubt, channel your favorite flavors into a soup. 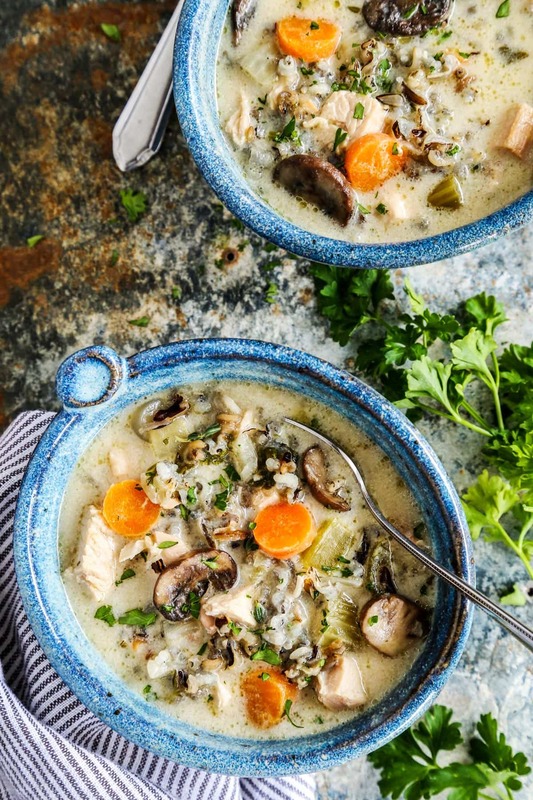 This lightly creamy option, which calls for a hefty dose of chicken (although you can easily substitute leftover turkey—it will bring out the smokiness of the other earthy ingredients), wild rice, and vegetables, will leave you feeling warm and cozy inside, even after your loved ones have come and gone. Once you’ve prepared the rice, this one-pot dish comes together quickly. Get the recipe on A Farmgirl’s Dabbles. Now, this is a leftover turkey sandwich done right. 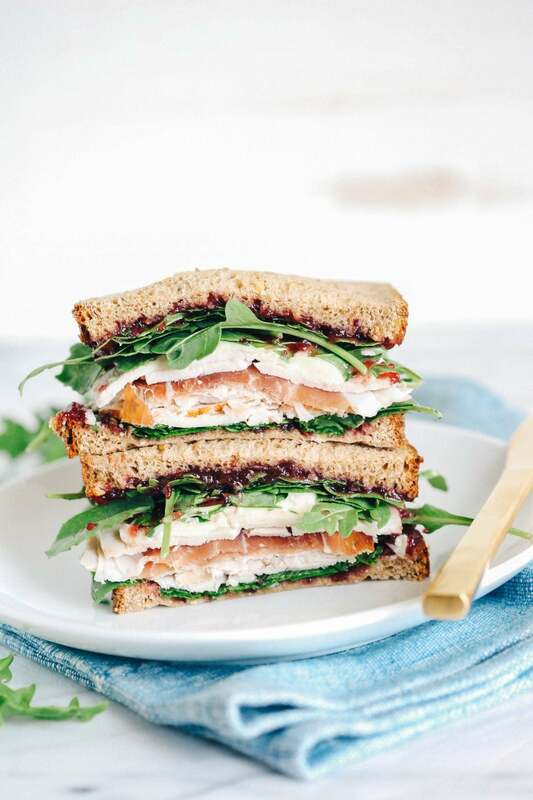 When coupled with a creamy brie, sliced prosciutto, peppered arugula, and cranberry sauce (a Thanksgiving staple that can often be a challenge to repurpose), this elevated lunchtime transformation is one you’ll want to show off to all your colleagues the next day. Get the low-down on this celebratory sandwich on Eat Yourself Skinny. Here’s a great way to make use of all your untouched turkey (and any spare mayonnaise you have lying around the house). 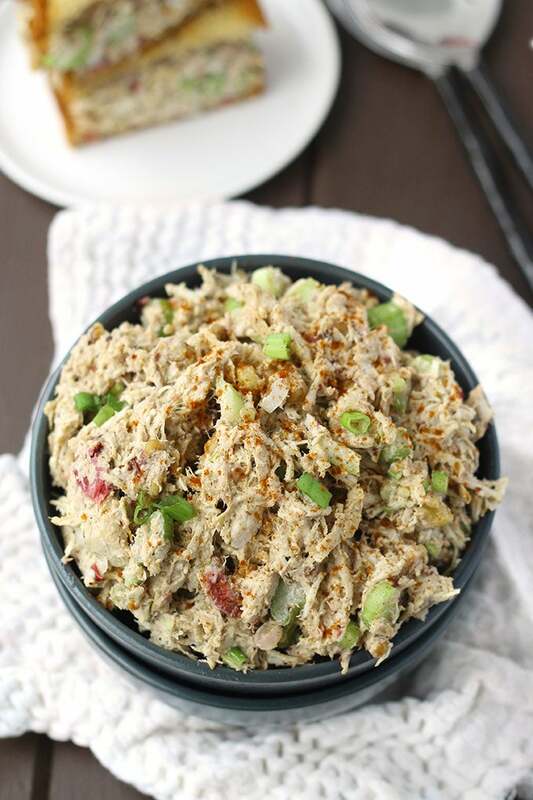 A hearty medley of shredded meat, celery, onions, and walnuts, with mayonnaise and cranberry sauce tying the creamy base together, this makeshift salad can be served on bread for an open-faced sandwich or paired alongside a salad for a healthful twist. 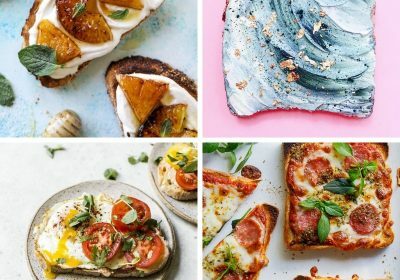 These delicious pockets of post-Thanksgiving heaven don’t just look good, but will help you bounce back from your carb coma faster than you expected. From the stuffing to the cranberry sauce, this festive riff calls for all your go-to ingredients. 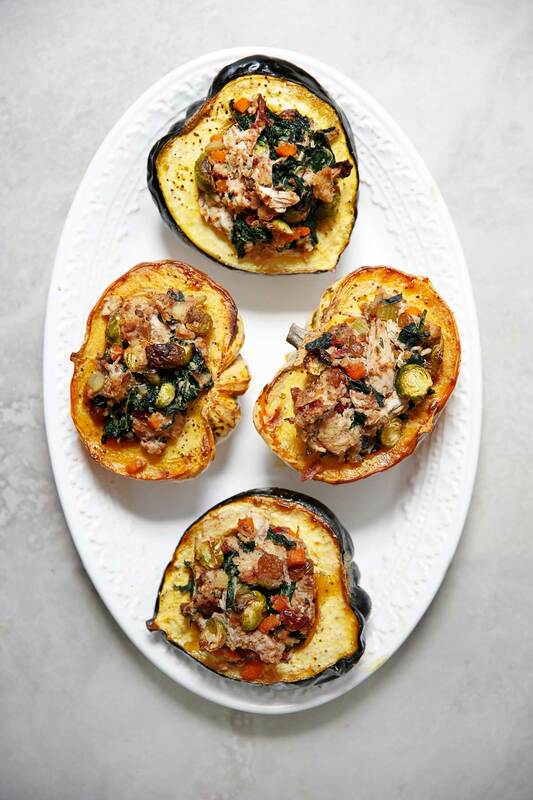 Cook until golden brown and then load each acorn squash up with your favorite toppings and bake for an additional 10 minutes. Discover the full recipe on Lexi’s Clean Kitchen. 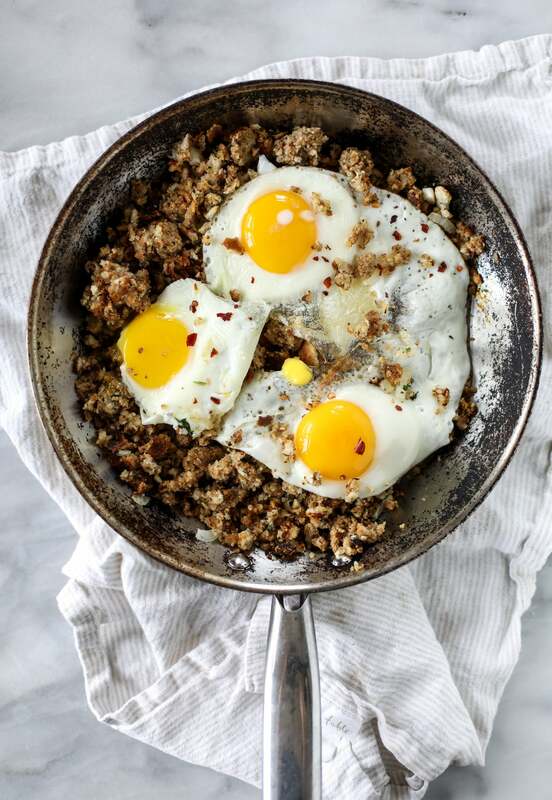 Who said you can’t have your go-to staples for breakfast, too? Take advantage of surplus stuffing by whipping up this Thanksgiving-inspired hodgepodge for the mornings that follow. Add in potatoes, butternut squash, green beans, or similar savory options from a casserole and top with poached or fried eggs. Get the full recipe on The Pioneer Woman. Meet the dish will speak to your soul all season long. 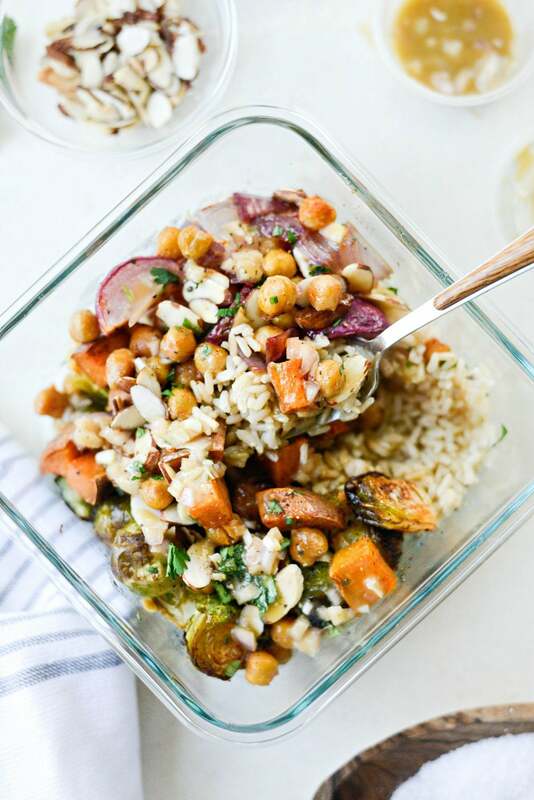 Sweet potatoes, Brussels sprouts, radishes, and brown rice make up this vibrant jewel-toned veggie medley, plus your choice of protein (incorporate chickpeas as a vegetarian alternative). Once prepared, package each serving in an individual container to make eating on-the-go a breeze. Check out the complete recipe on Simply Scratch.